Wat is dit voor site? Wij zoeken de goedkoopste boeken op internet. 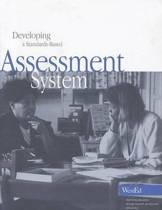 Standards-based School Mathematics Curriculavonden we het goedkoopst op Bol.com voor €154.99. We hebben gezocht in nieuwe en tweedehands boeken. Rechtsonderaan de pagina kan je het boek direct bestellen	via Bol	.com. The Curriculum and Evaluation Standards for School Mathematics published by the National Council of Teachers of Mathematics in 1989 set forth a broad vision of mathematical content and pedagogy for grades K-12 in the United States. These Standards prompted the development of Standards-based mathematics curricula. What features characterize Standards-based curricula? 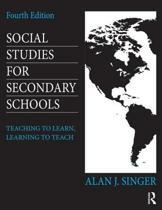 How well do such curricula work? To answer these questions, the editors invited researchers who had investigated the implementation of 12 different Standards-based mathematics curricula to describe the effects of these curricula on students' learning and achievement, and to provide evidence for any claims they made. In particular, authors were asked to identify content on which performance of students using Standards-based materials differed from that of students using more traditional materials, and content on which performance of these two groups of students was virtually identical. Additionally, four scholars not involved with the development of any of the materials were invited to write critical commentaries on the work reported in the other chapters. Section I of Standards-Based School Mathematics Curricula provides a historical background to place the current curriculum reform efforts in perspective, a summary of recent recommendations to reform school mathematics, and a discussion of issues that arise when conducting research on student outcomes. Sections II, III, and IV are devoted to research on mathematics curriculum projects for elementary, middle, and high schools, respectively. 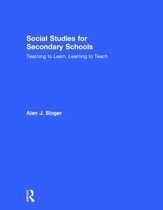 The final section is a commentary by Jeremy Kilpatrick, Regents Professor of Mathematics Education at the University of Georgia, on the research reported in this book. It provides a historical perspective on the use of research to guide mathematics curriculum reform in schools, and makes additional recommendations for further research. In addition to the references provided at the end of each chapter, other references about the Standards-based curriculum projects are provided at the end of the book. 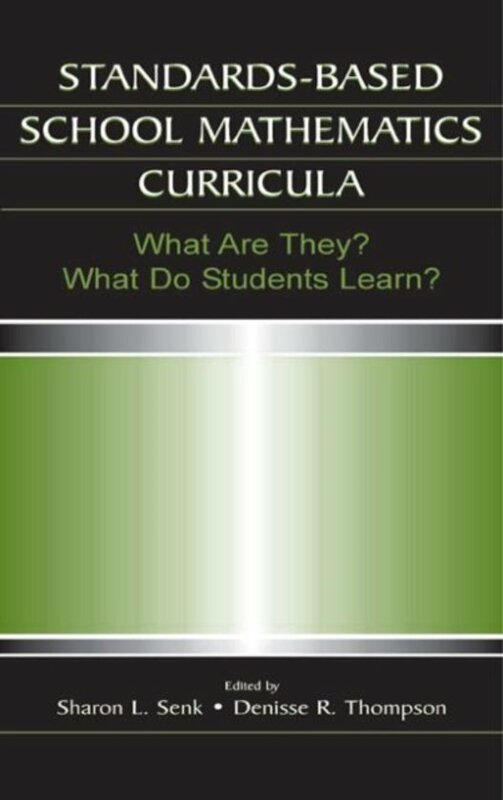 This volume is a valuable resource for all participants in discussions about school mathematics curricula--including professors and graduate students interested in mathematics education, curriculum development, program evaluation, or the history of education; educational policy makers; teachers; parents; principals and other school administrators. The editors hope that the large body of empirical evidence and the thoughtful discussion of educational values found in this book will enable readers to engage in informed civil discourse about the goals and methods of school mathematics curricula and related research. Subtitel What Are They? What Do Students Learn?